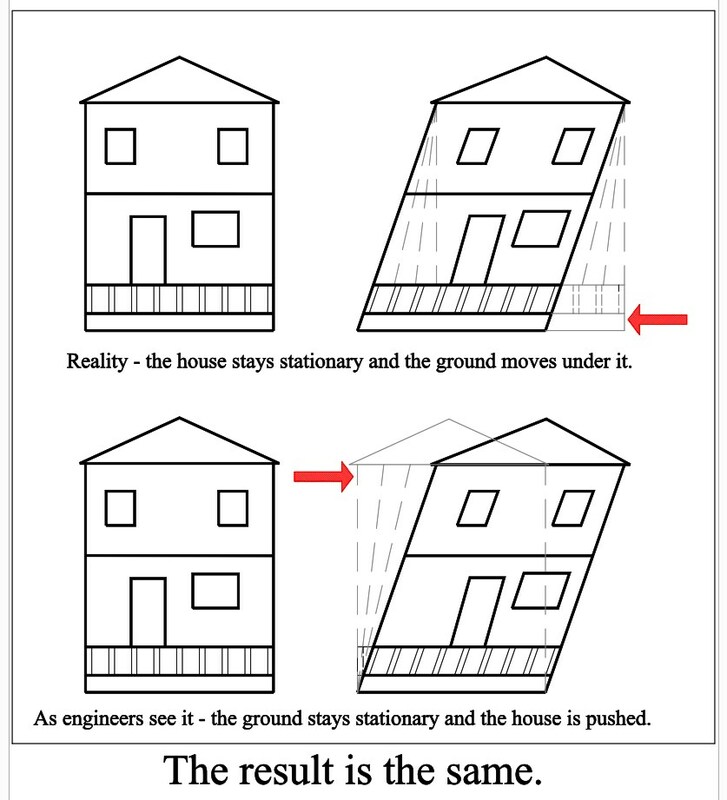 Some people wonder why we say earthquake forces are striking a house when we are actually referring to ground movement under the house. This is done because conceptually it is much easier to understand. The design determines if the retrofit will work as intended and it determines cost. 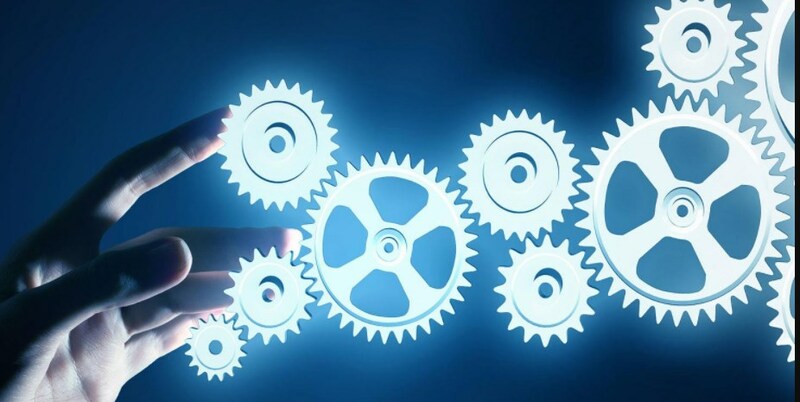 A single engineering oversight can cause catastrophic failure and an uninformed engineer can recommend far more work than is necessary, even to the point of being unaffordable. A case in point being an engineered design in Berkeley for a 1200 square foot house that was going to cost $65,000 for us to build. This happened because the engineer recommended many things, including foundation work, that were not necessary. Make sure you understand the design before proceeding with any retrofit. A designer must consider the following: What was the building code when the house was built? How did houses like yours perform in previous earthquakes? Is the cripple wall made of redwood or Douglas Fir? How tall are they? If the house stucco, or wood? Are the floor boards straight, or are they placed at an angle? Does the entire house have a cripple wall, or just part of it? Is the foundation concrete, brick, or capped concrete? Are the walls balloon framed or platform framed? In other words, there are a lot of things you need to consider. Only someone who has taken the time to research these things will know how these things impact a design. There is no reason to hire an engineer when these calculations are available. As a Standard Plan A development committee member, I saved these calculations for posterity sake and to my knowledge this is the only place you will find them. 99% of retrofit engineering involves figuring out how much a house weighs, then multiplying that by the anticipated ground acceleration measure in Gs, and using the result (measured in pounds) to figure out how many pounds of lateral force must be resisted. Once you figure out which type and how many retrofit components will resist that force the engineering is complete. If you hire an engineer, he/she will spend most of her/his time, at $225 an hour, figuring out how much a building weighs, which is not all that simple and does take tremendous amount of time. There is no reason to do this if the Standard Plan A engineering already did it. Before continuing you might want to watch this video which simplifies the process for cripple wall retrofits. The same principles apply to no cripple wall retrofits except there won’t be any plywood. The following calculations determine the seismic load demand to cripple walls and foundation sill plates for conditions commonly found in existing wood-framed residential buildings located in the San Francisco Bay Area and are the engineering basis behind Standard Plan A. These demands are the basis for the cripple wall bracing and foundation sill anchorage requirements contained in the East Bay and Peninsula Chapter of ICC Seismic Retrofit Provisions. Certain assumptions are made in the calculation of these demand loads. New resisting elements are located at the building perimeter only, therefore, one-half of the total seismic load in each axis is resisted by each of two parallel perimeter wall lines. Allowable stresses are increased by a factor of 1.33 for short term seismic loads, or are based on tabular values already adjusted for seismic loading (2001 CBC Table 23-II-I-1). For determining bolt capacities, foundation sill plates are considered to be tight grain Redwood. Based on observations, and some limited testing, the dowel bearing strength of this species is considered to be equivalent to Douglas Fir having a specific gravity of 0.50. Bolt capacity is determined using one-half of the allowable double shear capacity for a sill plate twice the thickness of the actual 2x sill plate (2001 CBC Sec 2316.2 Item 24, amending 1991 NDS Sec. 8.3), and taking a 1.33 increase for duration of load. The resulting sill bolt capacities are ½” diameter = 820 pounds; 5/8” diameter = 1,170 pounds. Other wood members transmitting loads are assumed to be Douglas Fir and nails are assumed to be common wire diameter. The floor to ceiling wall height is 8 feet. The roof slope is 4:12, with gable ends occurring on the short (transverse) side, and two foot eave overhangs on all sides. Four Cases of exterior and interior wall finish and roofing are considered. A) Lightweight roofing (5 psf) of wood shake, wood shingle, or composition shingle, exterior wood sheathing or board finish, and ½” gypsum wallboard interior finish. C) Lightweight roofing, cement plaster (stucco) exterior finish, and gypsum lath and plaster interior finish. D) Heavy roofing (11 psf) of concrete or clay tile, cement plaster (stucco) exterior finish, and gypsum lath and plaster interior finish. This is considered the definition of “Heavy Construction. Certain types of clay tile using mortar setting for the tile will exceed this unit weight and therefore should be excluded from using these prescriptive methods. Interior partitions are framed with 2×4 studs at 16″ o.c. with either ½” gypsum wallboard (for 3A) or 3/8” gypsum lath and gypsum plaster (for 3B, 3C or 3D) on each side. The lath and plaster is a heavier wall finish (4.5 psf) than standard ½” thick gypsum wallboard (2.2 psf). Ceilings below attics and below a second floor are assumed to be either ½” gypsum wallboard (for 3A) or 3/8” gypsum lath and gypsum plaster (for 3B, 3C or 3D). The assumed layout of interior walls in a single story building is two in the long (longitudinal) direction and three cross walls in the short (transverse) direction. The assumed layout of interior partitions in a two-story building are two in the long direction and three in the short direction at the upper floor level, and one in the long direction and two in the short direction at the first floor level. Exterior walls are framed with 2×4 studs at 16″ o.c. with either wood board or panel siding (for 3A or 3B), or cement plaster (stucco) exterior wall finishes (for 3C or 3D). The interior finish of exterior walls is assumed to be either ½” gypsum wallboard (for 3A) or 3/8” gypsum lath and gypsum plaster (for 3B, 3C or 3D). Attic gable end walls are assumed to be unfinished on the interior face. The site is assumed to have no slope along an exterior wall line greater than 1:10 and cripple walls are limited to 4 feet in height at any point. Second floor/ceiling system: Gypsum wallboard is assumed to be the interior ceiling finish.